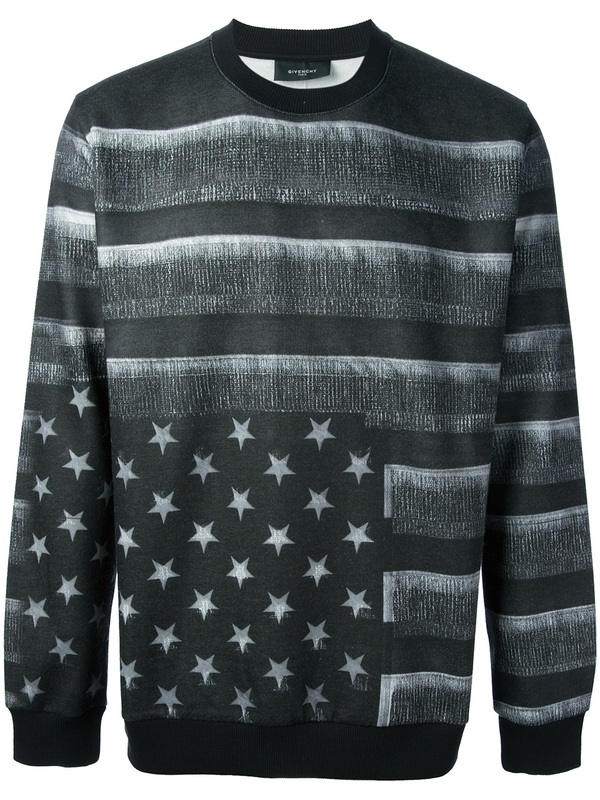 Lifestyle ambassador Diddy was recently spotted dining at a restaurant in $764 now $611 Givenchy Stars & Stripes Sweater. 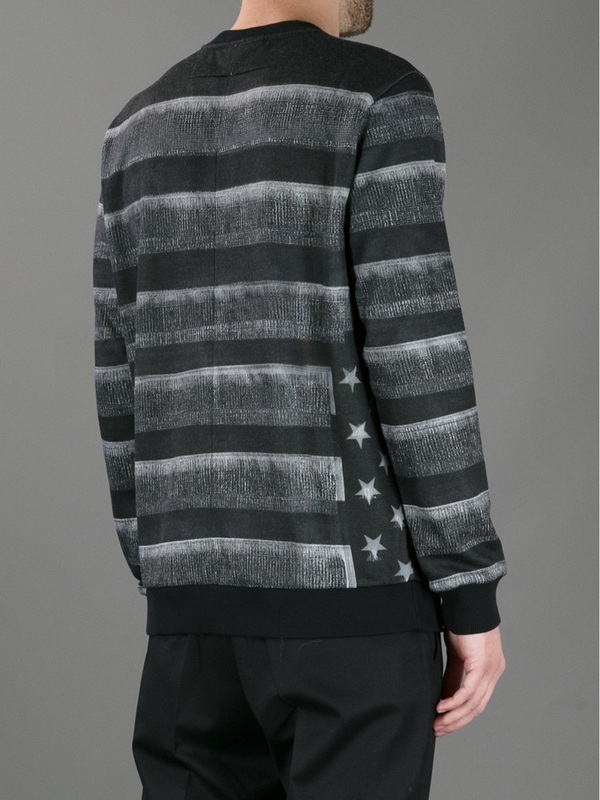 This blend cotton sweater features a crew neck, long sleeves with ribbed cuffs, contrasting grey stars and stripes print and a ribbed hem. 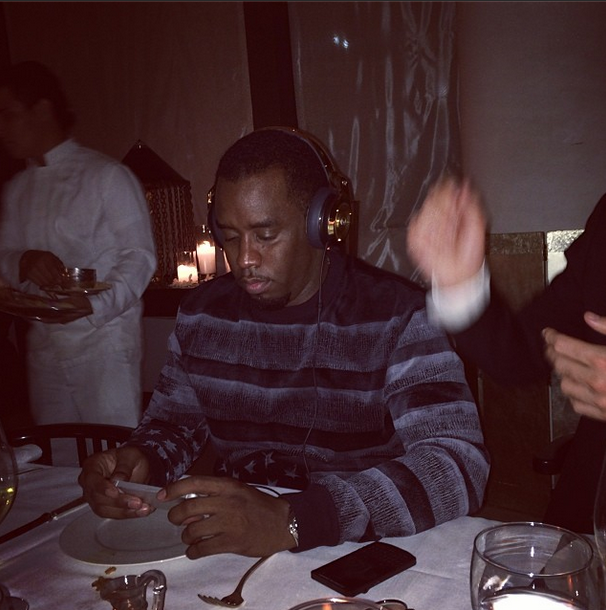 You can purchase Diddy’s Givenchy sweater at Farfetch. 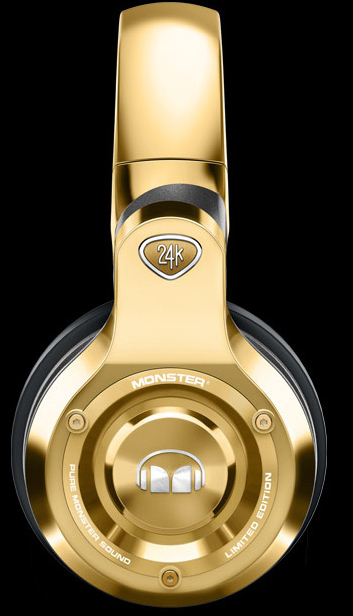 Diddy was listening to some music from a pair of $280 Monster 24k Headphones which will be available to the general public this Saturday (December 14). You can Pre-order them now at Monster.